As a hub for the most current Business Logic, DECISION is helping Global 1,000 companies reduce operational cost and risk, simplify business system implementation and speed up time to market for new products, services and updates. There are many grey areas in the world of business, but automated decision-making should not be one of them. 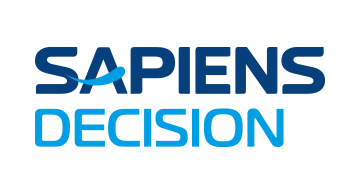 Sapiens DECISION allows business users to discover, model, verify, manage and execute automated business decisions, with black & white clarity, transforming their Business Logic into a centrally controlled strategic asset. DECISION models are validated and tested for integrity and precision, both during their creation and whenever changes are made. Once approved for production, they are either implemented by IT or automatically transformed into executable code.